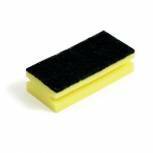 Sponge Back Scourer 140x70x40mm (Pack of 10) SBS100G Pack of 1 Sponge Scourer suitable for use on most surfaces. Hardwearing and long lasting cleans grease, grime and removes burnt on food. Colour - Green/Yellow. Pack of 10. 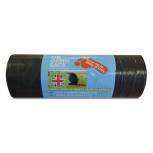 Safewrap Refuse Sack 92 Litre Black (Pack of 80) 0446 Pack of 1 Refuse sacks for waste disposal. Made from 80 gauge polythene. Sturdy construction for secure waste containment. 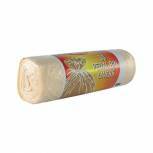 Pack of 4 rolls, 20 sacks per roll. Capacity: 92 litres. Colour: Black. 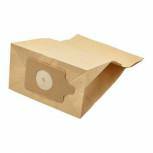 Numatic Vacuum Cleaner Bags For Henry Vacuum Cleaners (Pack of 10) KNI1C Pack of 1 Numatic Cleaner Bags For Henry Vacuum Cleaners (Pk 10) KNI1C Cable rewind facility. Stainless steel tubes for durability. Folding handle. 9 Litre capacity. 26. 8 cleaning range. Complete with full accessory kit. 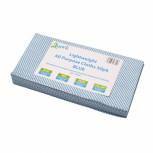 2Work Dishcloth 300x400mm White (Pack of 10) 100212 Pack of 1 Dishcloths for catering use. Durable construction for long lasting use. Ideal for wiping kitchen surfaces. Also useful when washing up. Size: 300 x 400mm. Pack of 10 . Colour: White. 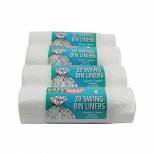 Safewrap Standard Swing Bin Liner White (Pack of 80) 0441 Pack of 1 Swing Bin Liners. 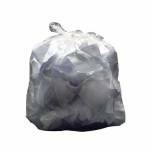 Standard swing bin liners manufactured from high density, 56-gauge polythene. Fits all standard swing bins. Capacity: 50 litres. Length: 762mm. Open Width: 610mm. Rim: 1220mmSupplied in rolls of 20 bags. Pack of 4. Colour: White. 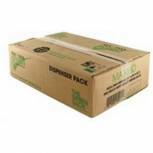 The Green Sack Heavy Duty Refuse Sack Black (Pack of 200) KMAXHD Pack of 1 Heavy duty refuse sacks in a box dispenser. 70 litre capacity. Dimensions 460 x 740 x 990mm. Pack 200. 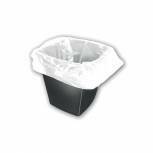 Safewrap Pedal Bin Liner White (Pack of 120) 0432 Pack of 1 Pedal Bin Liners. Standard pedal bin liners manufactured from high density, 52-gauge polythene supplied in rolls of 30 bags. 2Work Square Bin Liners 30 Litre White (Pack of 1000) KF73380 Pack of 1 Square Bin Liner White - 28g. Flat bulk dispenser box. Capacity: 30 litres. Size: 380 x 600 x 600mm. Blue Exel Revolution 250g Mop Head 103075BU Pack of 1 Mop head made from a blend of bleached cotton and synthetic yarns. Highly durable. 250g weight and designed to be far-reaching. Good quality floor mop for heavy cleaning. Can be used wet or dry. Blue. 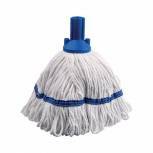 Pack of 1 mop head. 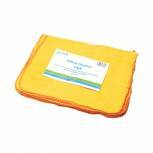 2Work Yellow Duster 508x355mm (Pack of 10) 103088 Pack of 1 Standard soft yellow dusters for multi-purpose use. Soft fabric attracts all dust. Machine washable. Fabric designed not to fray or lessen in quality. 508x355mm. Colour - Yellow. 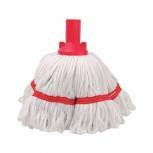 Red Exel Revolution 250g Mop Head 103075RD Pack of 1 Mop head made from a blend of bleached cotton and synthetic yarns. Highly durable. 250g weight and designed to be far-reaching. Good quality floor mop for heavy cleaning. Can be used wet or dry. Pack of 1 mop head. Red. 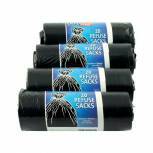 The Green Sack Medium Duty Refuse Sack on a Roll Black (Pack of 15) GR0771 Pack of 1 The Green Sack Medium Duty Refuse Sacks on a Roll Black Pack of 15 GR0771. 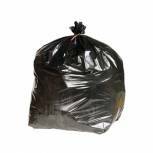 Medium duty refuse sack made from 100 per cent recycled material. 70 litre. Supplied on a roll of 15. Black. 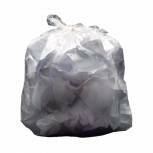 2Work Swing Bin Liner 45 Litre White (Pack of 1000) KF73379 Pack of 1 2Work Swing Bin Liner White - 28g. Flat bulk dispenser box. Capacity: 45 litres. Size: 330 x 580 x 760mm. 2Work Microfibre Cloth 400x400mm Blue (Pack of 10) 101161BU Pack of 1 Hard-working cleaning cloths. Microfibre surface effectively cleans spills and dust. Clean dirt when moist without chemicals. Use dry to shine hard surfaces. Can be machine washed up to 300 times. 400 x 400mm. Pack of 10 cloths. Blue. 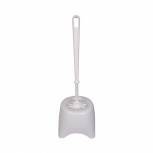 2Work Toilet Brush and Holder White P01456 Pack of 1 2Work toilet brush and holder set for all washrooms. Keeps toilets clean. Hygienic attractive holder with a durable brush. Hardwearing and durable. Essential for homes and businesses. Colour: White. 2Work Lightweight All Purpose Cloth 600x300mm Blue (Pack of 50) 102840BU Pack of 1 Everyday All Purpose Cleaning Cloths ideal for all office and kitchen cleaning uses. Cloth Size - 600 x 300mm. Cloth Colour - Blue. Pack 50. 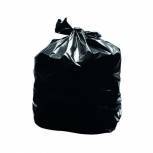 2Work Light Duty Refuse Sack Clear (Pack of 200) KF73377 Pack of 1 Medium duty refuse sacks for waste. Less likely to tear or rip. 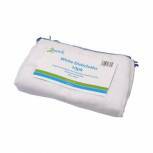 Prevents odour and waste leakage. Easy to use with included dispenser for access. Perfect solution for all waste. Colour: Clear. Pack of 200.